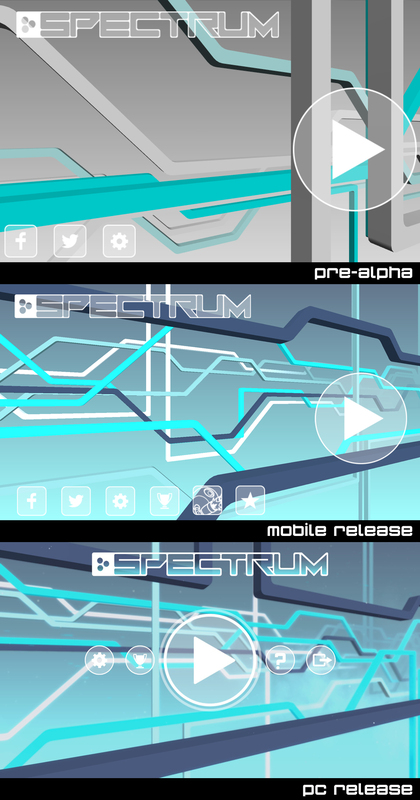 As you may know, we are on the path to releasing Spectrum on Steam for Windows, Mac, and Linux, and we wanted to share with you some of the improvements we’ve made to the game over the past few months after we released the game on iOS and Android. We’ve added some post-processing effects that have made the game look a lot nicer. Some enhancements include: sun shaft, bloom, depth of field, and anti-aliasing. We also added a new video settings menu, so you will be able to adjust them depending on your system. 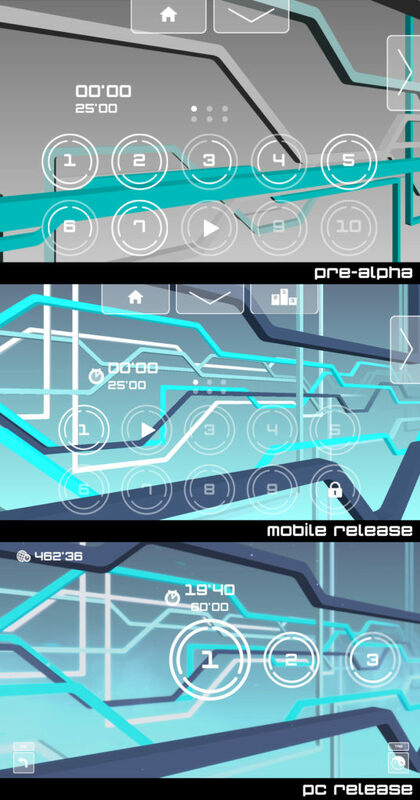 We also enhanced the illumination on all levels, which helped us achieve a better aesthetic overall. With a nice smooth and dynamic camera tilting and zooming on some sections of the game, you’ll be able to see further ahead the deadly obstacles in Spectrum. With particles you can accomplish a great look in games, they are amazing eye candy, and also make the world feel alive, but they can also hit performance quite a bit, so we were careful with these. You’ll notice many cool particles floating around the levels, and other sections of the game. We made improvements even the smaller things, like picking up orbs around the levels. 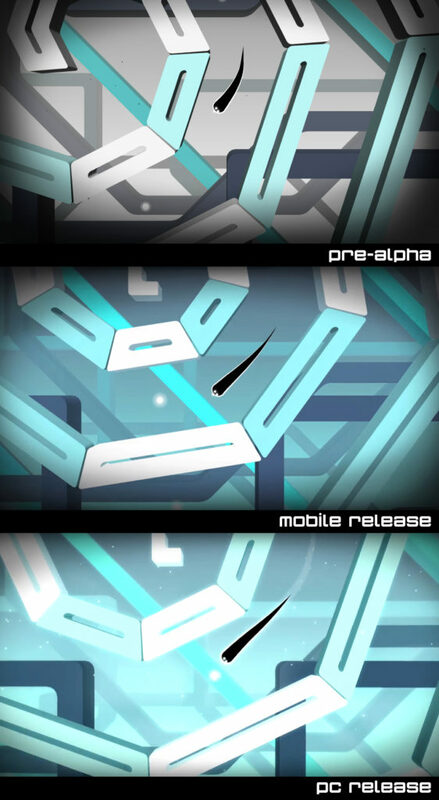 We’ve added and revised some of the animations in the game. Below you’ll see the juicy chapter unlocking animation. We revamped and simplified the entire user interface, everything from the game’s main menu, chapter and level selection screens, and the in-game interface has been improved and made more intuitive. We believe this change will enhance navigation throughout the game, and it’s one of our favorite new features. Other improvements include the addition of an ending cut-scene (it’s super cool! ), improved gamepad support, an easier to understand tutorial, nicer credits, sound settings, enhanced and optimised many of the levels, and fixed many bugs. We also started buying fruit at the office instead of candy, which should translate into a healthier (but low morning productivity) team! Check out the trailer we made for Steam below. 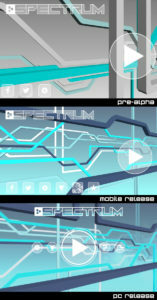 Spectrum will be released on September 22nd. You may add it to you Steam wishlist by following this link.